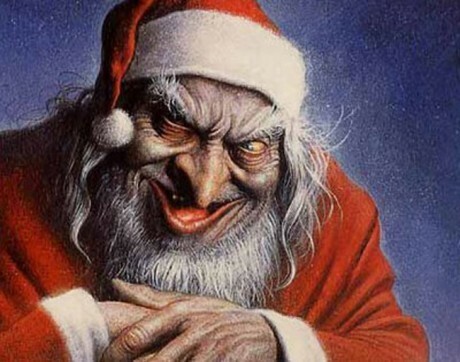 Horus Christmas, Hannukah, and Mad Friday – ITEL for 12.20.14 | Inside the Eye - Live! It was another sans-guest show for Inside the Eye – Live! 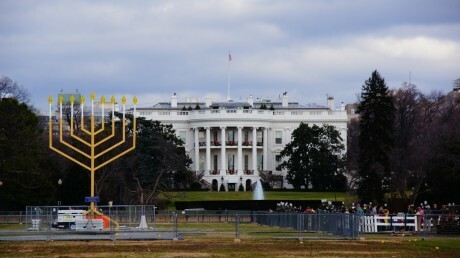 for December 20, 2014.Â The show did not disappoint.Â Being the last weekend before the Christmas holiday and Winter Solstice, this theme filled the first hour, while hour 2 was a discussion about the anti-Western meaning and agenda behind the menorah, while Britain’s “Mad Friday” was the topic of hour 3. There was quite a lot of listener participation (call in) which sparked some lively rebuttal rants. The cognitive dissonance required to believe the totality of Christianity being a whole by-product of Jewish machinations is rather stunning to behold. But believe people do. Still, any honest immersion into the rites and rituals of Christianity soon lead to a realization that Christianity is not Jewish, is not rooted in anything remotely Jewish in construction, and so we must draw the conclusion that something larger and more foreign served as the archetypes as to what would become Christianity, or, owing to the total scorched earth nature of the early Christian leaders, some of the larger mysteries were embed into Christianity so as to preserve the inherent essence of these larger mysteries. The tale of Christ born on Christmas day is just one such example. 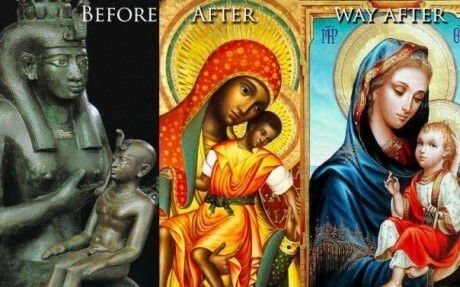 The original archetype – or at least a precursor archetype to the Christian story is that of the baby Horus and Isis and Osiris. This has been discussed at length in numerous avenues of study, from Catholic scholars to ancient historical chroniclers as Plutarch and Epiphanius. In hour number 1, The Fetch brought to life some of this ancient and contemporary history to reveal the “brotherly links” between the ancient Mystery Schools and contemporary “Christianity”. In hour 2, there was a discussion of Hannukah and its not so hidden anti-Western implications. In this discussion, The Fetch brought to the table actual comments from rabbis as they discuss the true meaning of the lighting of the menorah. So, while there was beauty and wisdom among the Greeks, it was alien and repulsive to Jews and Judaism. The larger social implications are pretty simple to see. The inherent order, beauty, and harmony embed into Western civilization is an abomination to Jews, and hence Jews, although happy to partake of the benefits that Western civilization affords them, equally despise the beauty and harmony that is inherent in Western civilization and its values. Hence Jews, through the lighting of their menorah, celebrate every year the gradual destruction of Western ideals as they promote the dark and lifeless religious and political ideologies. All this can equally be surmised through simple and honest observations. In hour number 3, Inside the Eye – Live! delved into Britain’s “Mad Friday”. Mad Friday occurs on the final Friday before the Christmas holiday. Essentially is a communal booze fest. Literally hundreds of thousands take to England’s bars. The event, although slightly tempered by the rise of social media, which can destroy a reputation almost instantaneously, was still filled with a massive amount of stress to England’s emergency services. In a story from England’s Guardian, it was mentioned that a city called West Midlands received over 252 calls in less than four hours while a company called North West Ambulance Service had commented that they had received over 184 calls of which 70 were deemed “life threatening”. With sales of alcohol in England expected to exceed 100% of normal, this indeed has to be one heck of a social phenomena to be present and observe – and perhaps partake of “just a little”!